This recipe is not even a real recipe because it's so easy to make! Trust me. I don't cook. 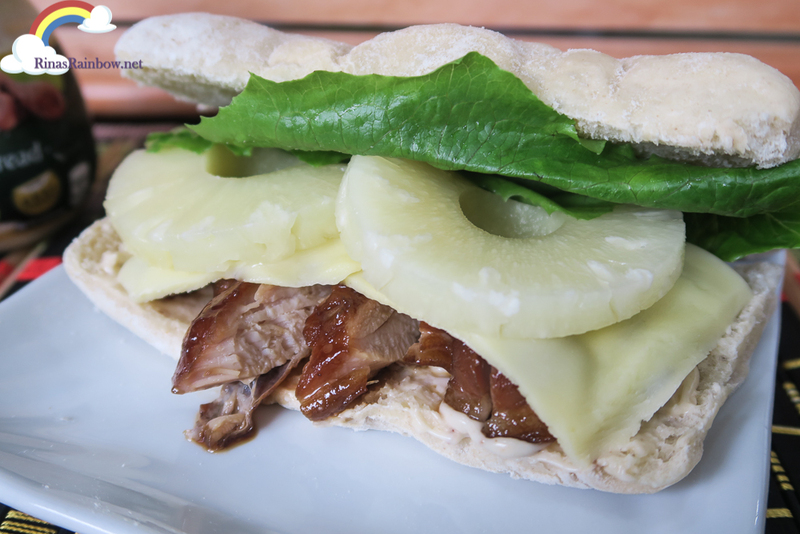 It's just putting things together and before you realize it, you've created this amazing big sandwich that can fill you up for the whole day! 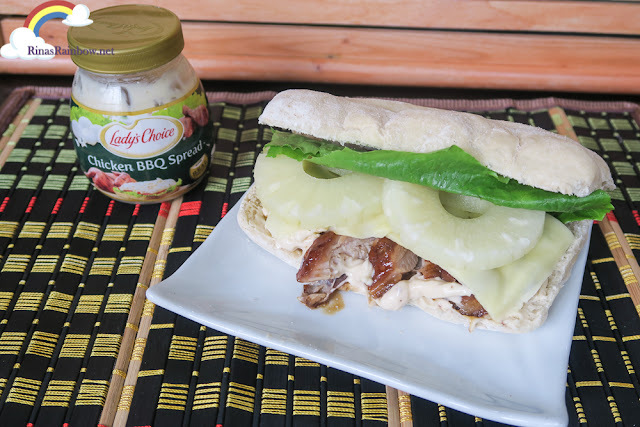 For this sandwich, I used chicken thigh fillet which I marinated (fine, our helper marinated and cooked) with barbecue marinade, and then fried. 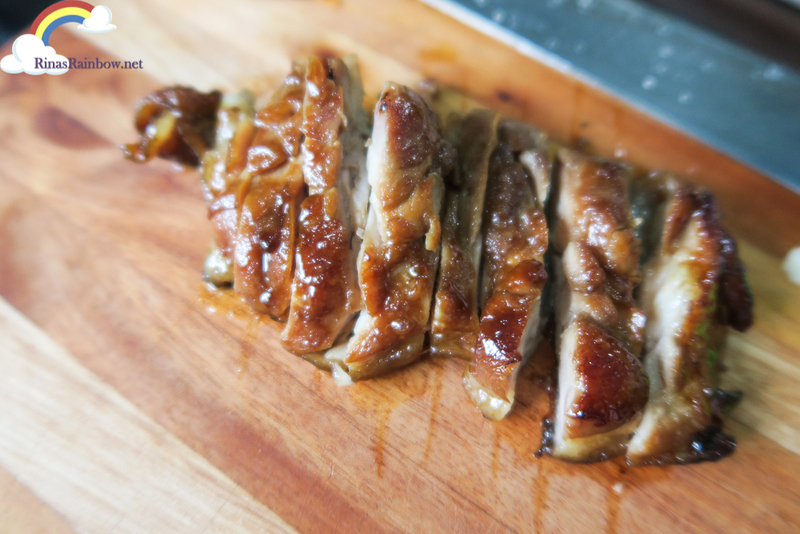 For a healthier option, grill this bad boy! Next, I cut the chicken fillet in strips. Juicy! For the bread, I used ciabatta. But it's really up to you whatever type of bread you want to use. Okay this next step is crucial. 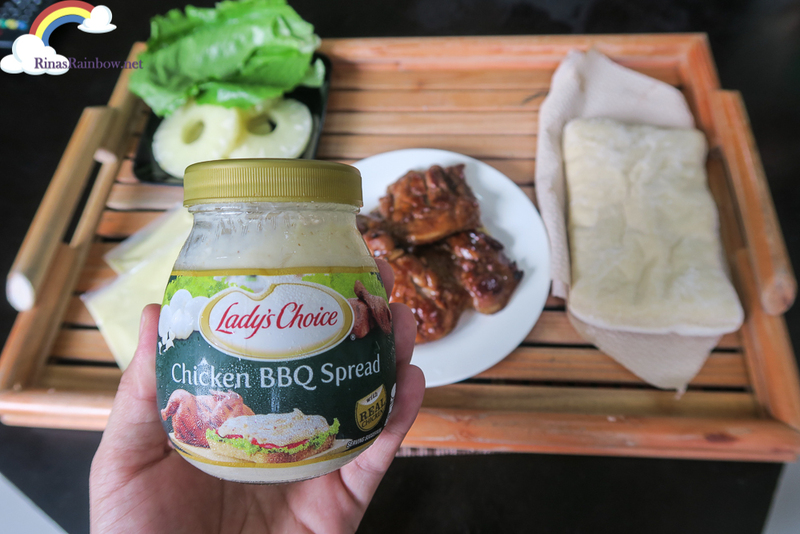 Smother the bread with a good serving of Lady's Choice Chicken BBQ Spread. 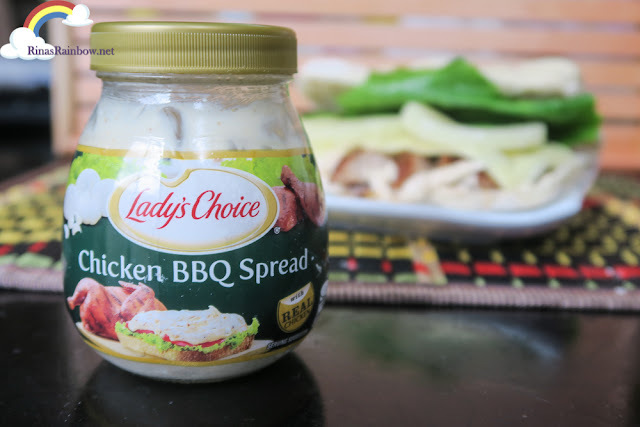 It's one of Lady's Choice's newest flavors. 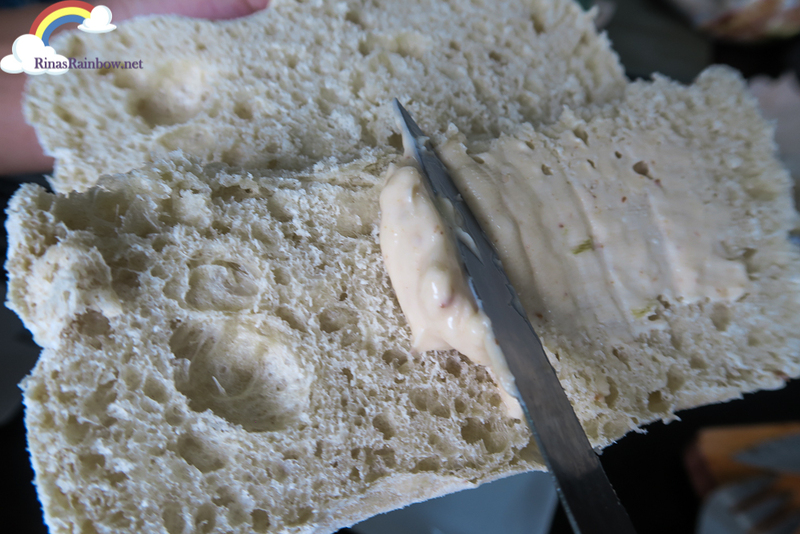 (The other one is Roast Beef Spread which is also fantastic) So just smother a thick layer in there. This definitely packs a smokey chicken BBQ taste that's why it really goes well with this recipe. Use a lot! The thicker, the messier, the better! 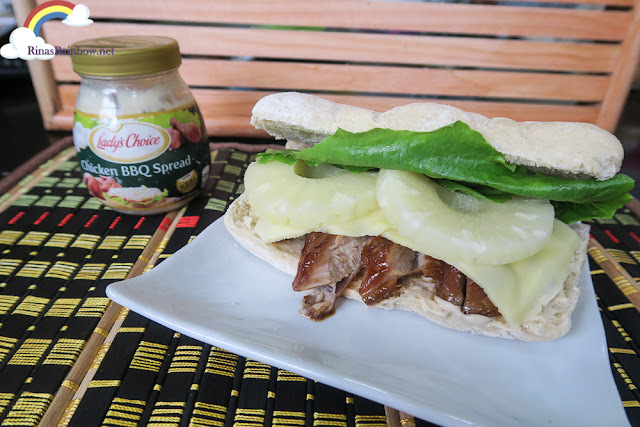 Don't you just love messy sandwiches?!? Then it's time to make the chicken strips lay down on this beautiful bread bed. 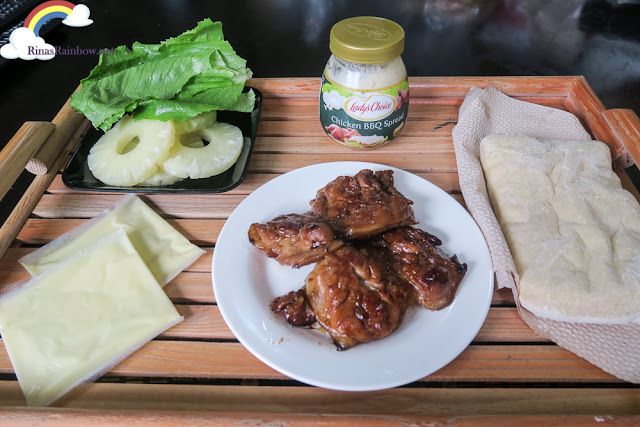 This is a really quick and healthy heavy snack to make for the family. For your hungry kids when they come home from school, or for your hungry husband who has just spent gruelling time in traffic on his way home. It's quick, healthy, and delicious! This is just one of the many sandwich recipes you can make using Lady's Choice Chicken BBQ Spread or Roast Beef Spread. 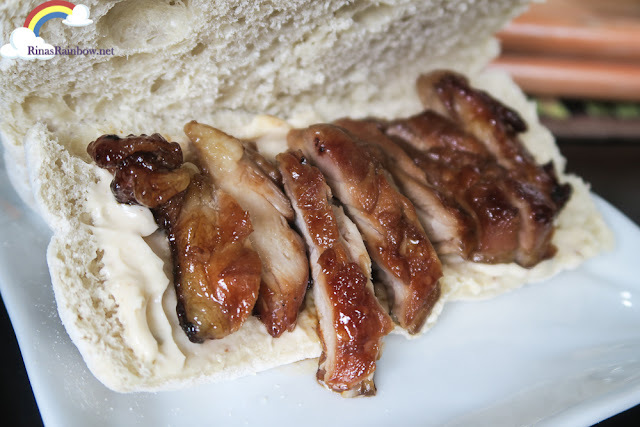 Because they already pack strong delicious flavors, it's fun to play around with it, or you can just use it alone with bread and it'll still be super flavorful. You really can't go wrong with it! Switch: Stands out as the switch genuine? The majority timepieces own alloy replica watches uk dials. Should it be alloy, has got it all happen to be refinished or simply did it need be? Stands out as the switch twisted or simply cracked? Any kind of rolex replica Datejust replica weakened or simply omitted markers? Are definitely the control weakened? There has to be hublot replica uk brown or redish colors? Any step worthwhile any see, slightly more worthwhile any switch. Condition: Realize the sum of dress in. Should a jewelry cartier replica condition, has it been twisted or simply dented with rolex replica sale bad or simply delivers the jewelry happen to be damaged thru.